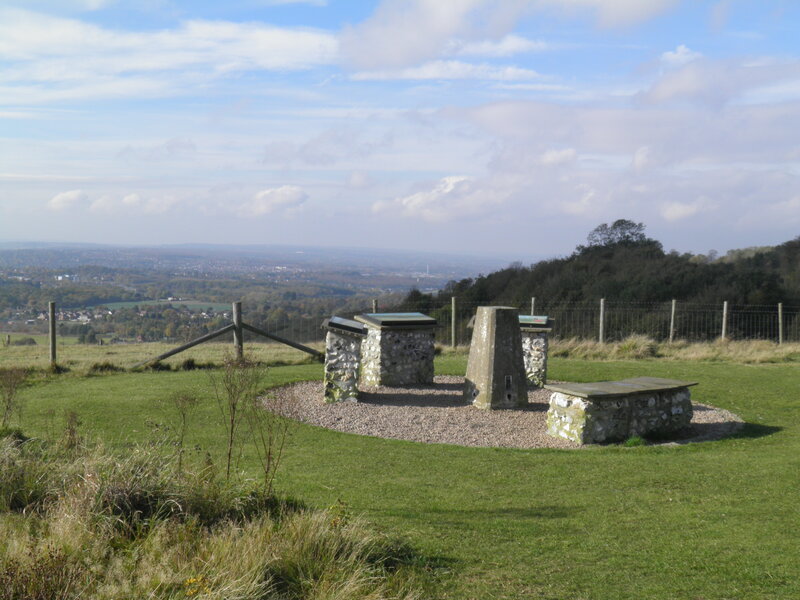 A bracing tramp along the wooded escarpment of the North Downs above Maidstone, with sweeping views across the Kentish Weald; with a medieval castle and two megalithic burial sites thrown in. Underfoot: Mixture of woodland, ridge and field paths, many of which – particularly in the lower sections – could become very muddy. Good shoes necessary. Terrain: Frequent short but often steep climbs and descents throughout. Some tricky route-finding at the start, but generally easy after that. 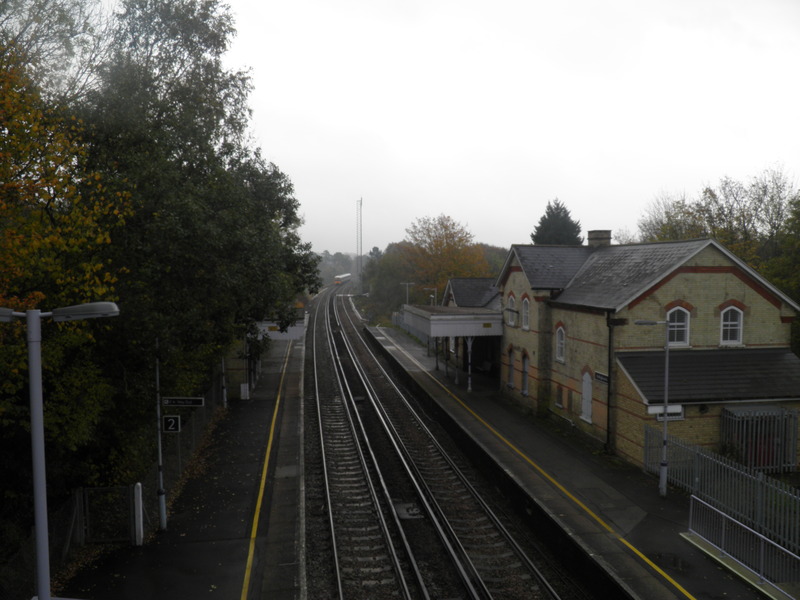 Getting there: Hollingbourne is served daily by hourly Southeastern services from London Victoria (71 mins) via Bromley South (55 mins) for connections from London Blackfriars via Elephant & Castle and Peckham Rye. 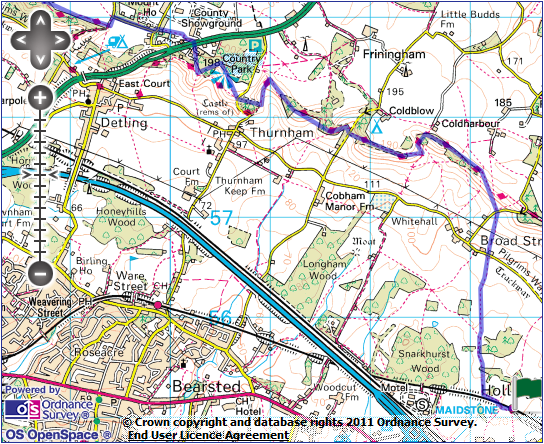 Useful websites: Much of this route follows the North Downs Way national trail. 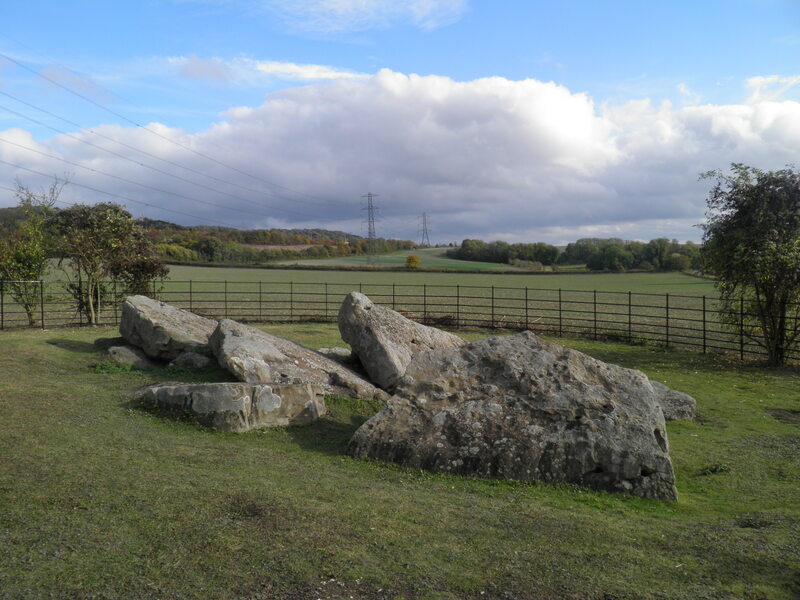 The route passes through the new White Horse Wood Country Park and past Kit’s Coty House megalithic tomb. Getting home: Aylesford is served by half-hourly (hourly on Sundays) Southeastern services on the Medway Valley line. Your can return to London northwards via Strood (15 mins) where trains connect with services to London Charing Cross (69 mins) via Woolwich Arsenal (37 mins) and Lewisham (50 mins); and with Southeastern high-speed services to London St Pancras (34 mins) via Stratford International (27 mins). 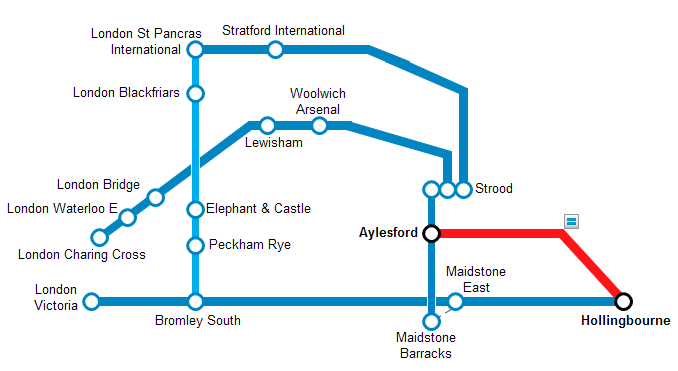 Alternatively, you can return via Maidstone Barracks (5 mins from Aylesford), where you can make the 5 minute walk to Maidstone East station for half-hourly (hourly on Sundays) services to London Victoria (56 mins) via Bromley South (39 mins). Fares: If you intend to travel back via Strood, simply purchase a return to Hollingbourne (£19.00, child £9.50, railcard £12.55) – note that if you wish to use the high-speed service from Strood, you will need to purchase a supplement (£3.20). If you intend to travel back via Maidstone, you will need to purchase an Aylesford – Maidstone single as well (£2.50, child £1.25, railcard £1.65). cross the footbridge and exit the platform by the side of the empty station house. From the station forecourt, take the path immediately opposite climbing the low bank. Over a stile, turn right on a broad track leading into a field: walk around 20m along the right-hand field edge to a gate leading to a railway crossing – cross the line with care. On the other side, follow the waymark to the left, dropping beside the railway embankment to cross a tiny stream on a rail sleeper bridge. From here, the path technically cuts diagonally across the next field, but you may well find it easier to walk up the broad grass verge along the right-hand edge of the field, following the stream and then the edge of the wood. 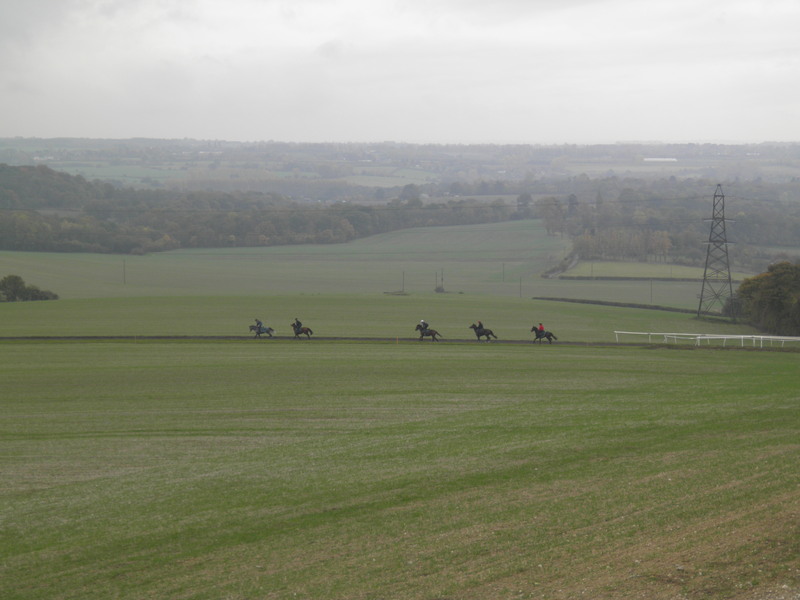 Once round the wood’s corner and facing the escarpment of the Downs, you need to cut straight across the huge field towards the gap in the trees ahead. On reaching the edge of the right-hand wood, you will come to a waymark showing a path junction. Keep straight ahead, aiming for an isolated gatepost in the centre of the field. 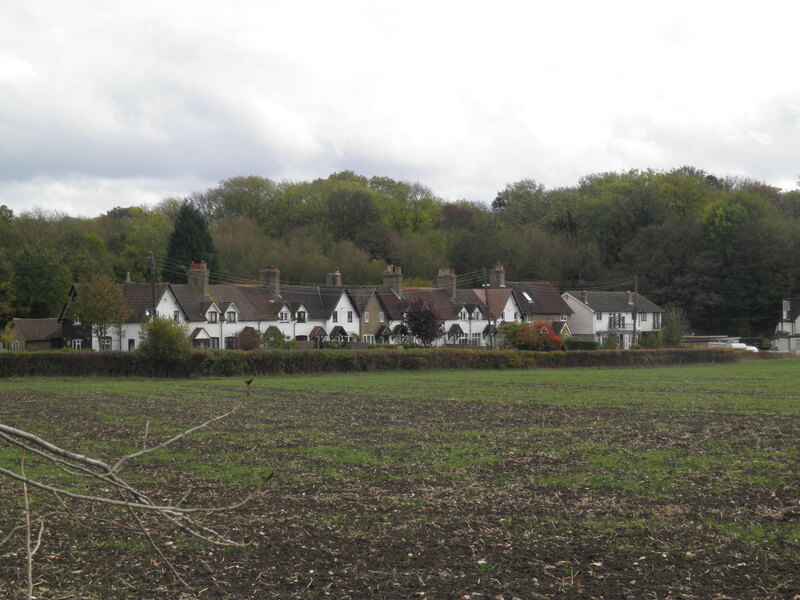 From here, aim for a weatherboarded barn in the hamlet of Broad Street, oast houses nestling in woods to the left. You pass through a kissing gate in the left hand hedge and cross a small grassy field to emerge on the road opposite Rubie’s Barn in Broad Street (from here, route finding becomes easier!). The road here is part of the Pilgrims’ Way, an ancient route which takes its name from its supposed use by pilgrims travelling from Winchester to Canterbury. 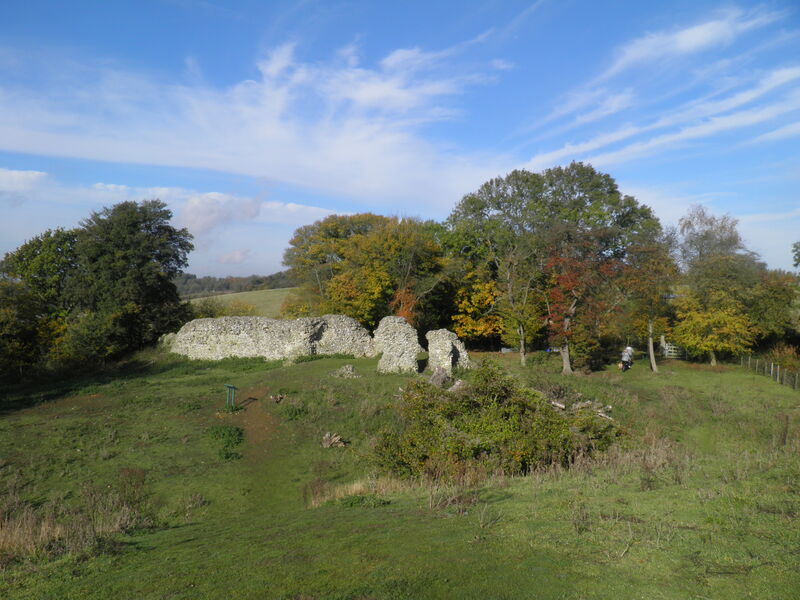 In fact, it pre-dates Christianity, potentially being as old as 500BC, following the natural causeway provided by the North Downs for around 120 miles. The Way in fact misses Canterbury entirely and continues to the Channel at Folkestone. route and then a marked field-edge path lead to another small road. Cross straight over and take the left-hand of the two rights-of-way signed ahead. 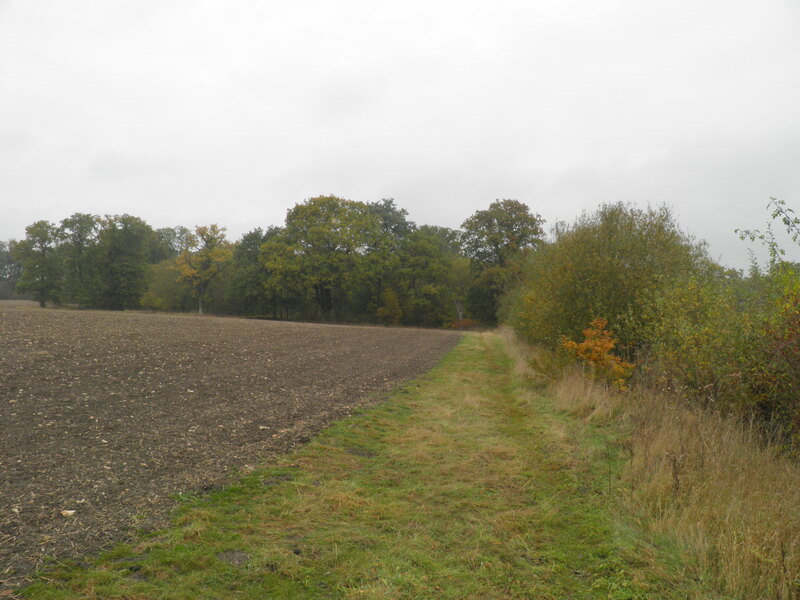 There is no clear path, but aim diagonally uphill towards the top right-hand corner of the field, where you will find a North Downs Way (NDW) waymark. Follow this through the hedge and straight ahead at the path junction immediately after. 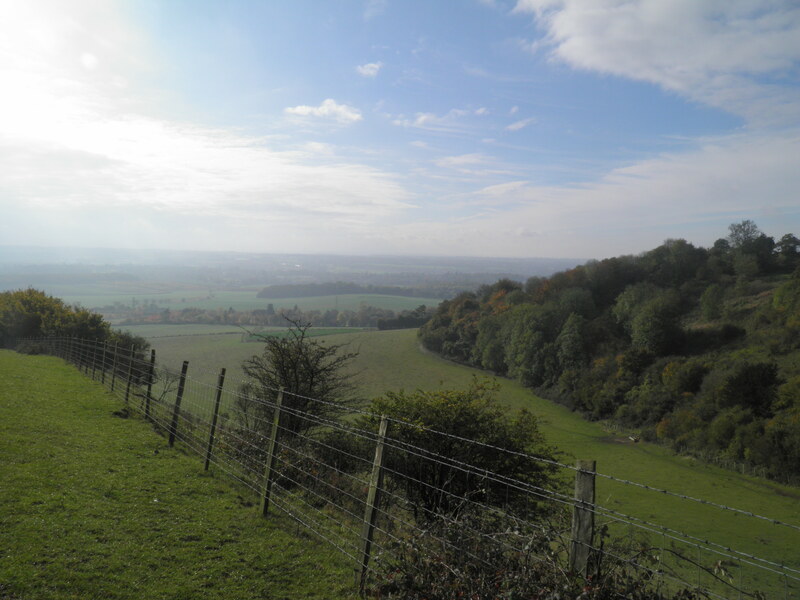 You are now on top of the North Downs escarpment, a chalk ridge that stretches around 100 miles east-west from Farnham to the English Channel, ending as the White Cliffs of Dover. 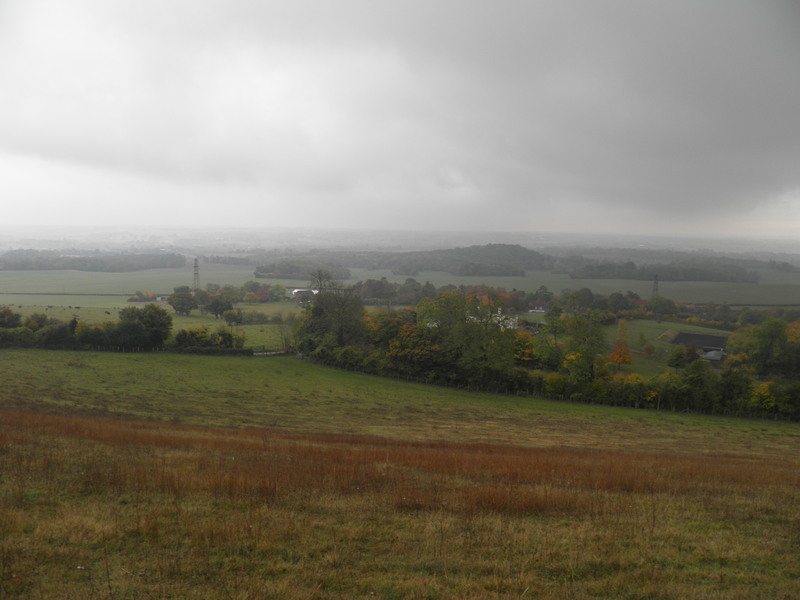 From this open downland there are huge, sweeping views across the Kentish Weald to the parallel South Downs ridge. Maidstone nestles below the escarpment and the historic use of the North Downs as a transport axis to continental Europe is shown by the M20 and the high-speed line to the Channel Tunnel paralleling the ridge. 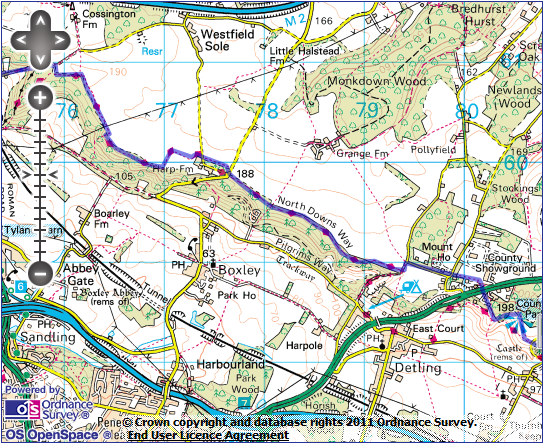 The North Downs Way crosses the open area and then enters the woodland ahead, twisting its way through the low trees and eventually joining a public byway (red waymarks). This track leads you downhill back into the open, before you eventually follow the NDW back uphill on a footpath, up a series of steps. 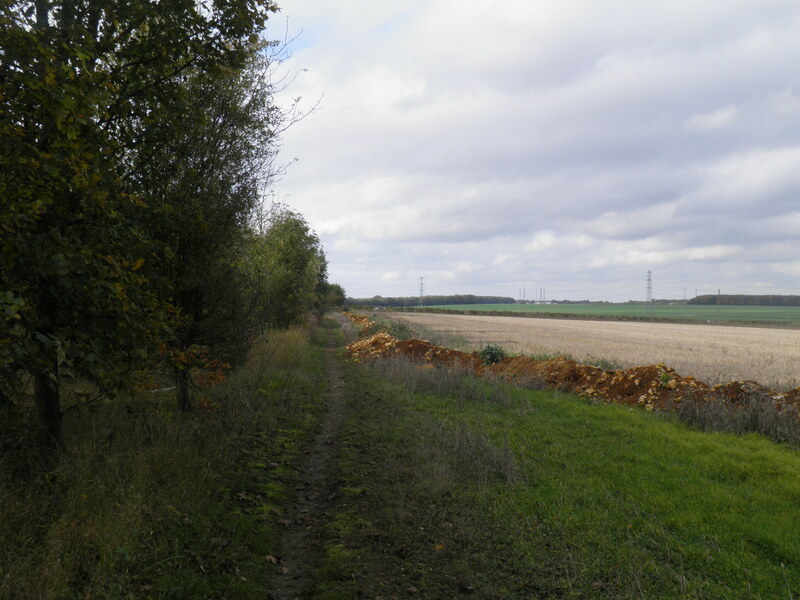 Around 1km on, the path descends to cross a small road (Coldblow Lane). From here a broad path gently climbs through the woods and you need to keep an eye out for the point, around 400m on, where you follow the NDW left down some steps. The path dips and rises before eventually breaking out into open fields to head up one side of a dry, grassy valley, at the head of which you then turn left through a kissing gate to descend the other side of the valley. At the next kissing gate, with a sign marking the entry into the White Horse Wood Country Park, turn right after the gate (leaving the NDW) towards Thurnham Castle. The path climbs steeply and at the top veer left to climb an earthwork to reach the castle. The scant remains here are of the bailey wall of a 12th century flint castle, built by local nobleman Roger de Thurnham. The castle would have enclosed around quarter of an acre at its height – the grassy remains are now often grazed by primitive Soay sheep. Pass through the castle ruins and a metal gate to a minor road. Cross, and take the rising gravel path almost opposite. Through the second kissing gate veer left at the path junction through the young plantation of the White Horse Millennium Wood, passing the site of an Iron Age enclosure to a triangulation point with fine views, which at 198m marks the highest point of the walk. left (signed towards the NDW). At the end of the plantation, pass through a gate and then leave the clear path to cut right across the thistle-strewn field to a stile in the corner. Over the stile, keep right of the fence past the bungalow and small mobile home park to reach the very busy A249 dual carriageway. Turn right along the verge for around 20m to reach a bus stop and here cross the road with care, using the gap provided in the central crash barrier. Crossing the second carriageway needs special caution as approaching vehicles are obscured by the brow of the hill. On the other side, retrace your steps left along the verge to walk down the Mill Lodge drive (footpath sign). About 50m down the drive, turn right on a waymarked path, which leads to an often muddy fenced path along the side of the Kent County Showground. After this not particularly pleasant stretch, it will be a relief to emerge on a small road. Head left and then immediately right at a triangular junction onto Broader Lane (it is unclear what this very narrow road is actually broader than). Pass Broader Lodge and where the road turns sharp right, head left on a byway. 100m down here, turn right on a bridleway, rejoining the NDW. This bridleway forms a clear and easy path along the edge of the wood for around 2km to eventually arrive at a busy road above Boxley village. Cross, turn briefly right, and then left on the signed path along a field edge, soon joining a more minor road. Cross straight over the road, pass through a farmyard and then a gate into the Boxley Warren Nature Reserve. The path doglegs through fields, then wanders through the wood along the ridge. At a path junction just before a pylon line, turn right, following the NDW along the field edge. At the next path junction keep left on the NDW, but where this plunges into the wood, turn right along the wood edge to a kissing gate leading onto a small road. Turn left on the road, which quickly becomes a cinder track descending steeply through the beech wood. After this slightly tricky descent, the road becomes tarmaced again at Wilcot House. Keep straight ahead at a road junction to a further junction by a dual carriageway bridge. Cross the slip road, pass under the bridge and then opposite the Lower Bell pub turn right, taking the right-hand of the two roads (Old Chatham Road). The road climbs, passes Kits Coty Brasserie to reach a further road junction. hedge which gives access to Kit’s Coty House in the field. 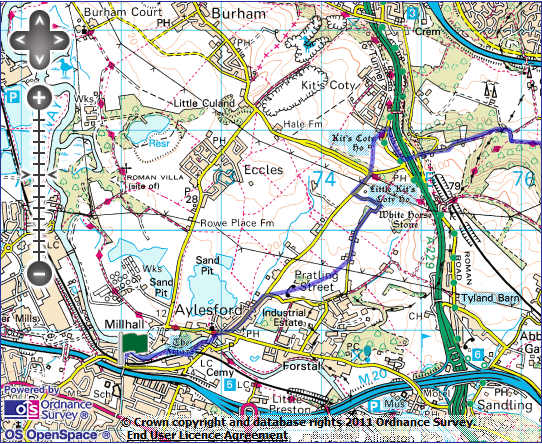 At bottom of path, take the road straight ahead (signed to Aylesford village), taking care on this fast, narrow road. 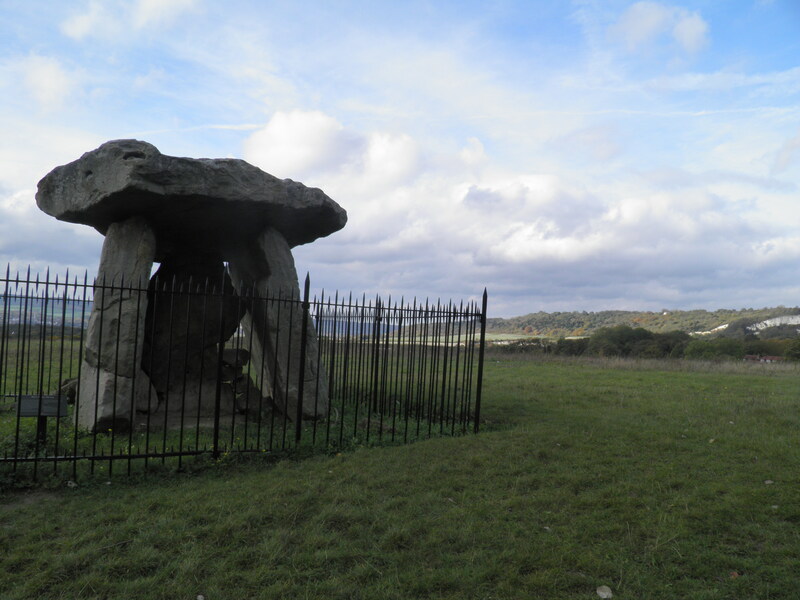 Just before the sign warning of horses, a narrow path leads left to the scattered stones of Little Kit’s Coty House, a less well defined but rather atmospheric burial chamber. Just beyond the horse sign, turn left on little Pratling Street, a lovely little lane which doglegs through the fields to enter the long hamlet of the same name. 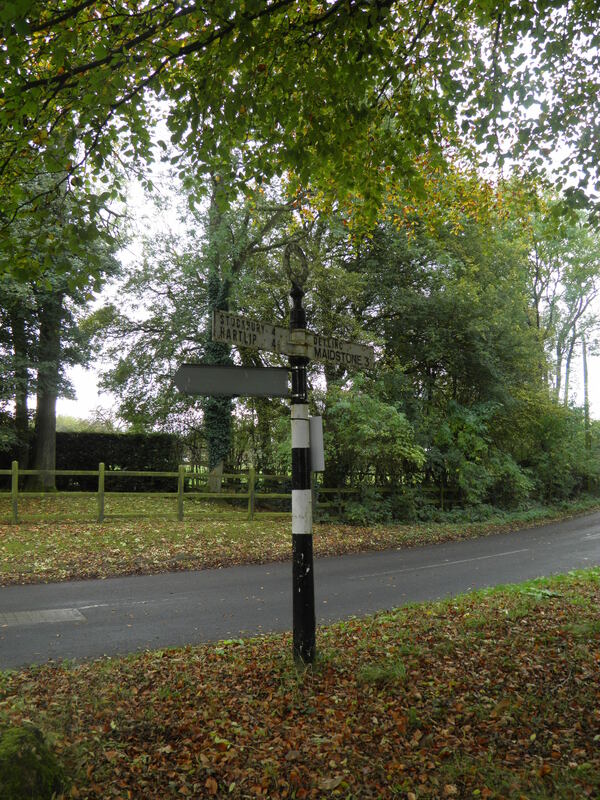 Just after a thatched cottage on the left, turn right on a signed path through a kissing gate. across a second field to a short fence path through a belt of young trees. Beyond this, continue diagonally across three more fields to eventually re-emerge on Pratling Street just beyond the large Waitrose depot. Turn right, and you soon reach a junction, where you turn left on Rochester Road. High Street. Opposite Sherlock’s Restaurant, turn left over the pedestrianised old bridge. From the bridge there is a good view of the old heart of Aylesford village backing onto the tidal River Medway, with the church of St Peter and St Paul’s, which contains some Norman portions, on the rise above. 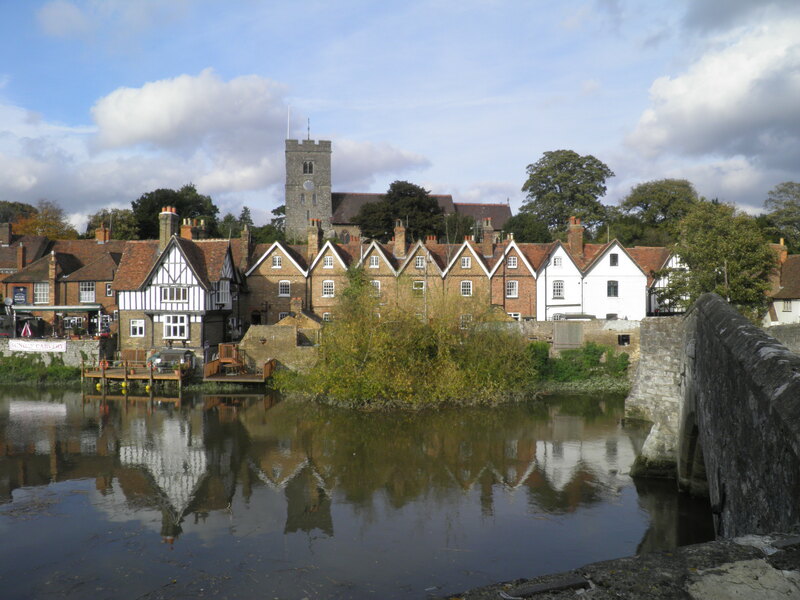 The bridge, most of which dates from the 14th century, was one of the earliest crossing of the lower Medway, replacing the ford around which Aylesfordoriginally grew up. Until the mid 18th century, the Medway was navigable by barges as far upstream as Maidstone, and Aylesford would have had its own quays. Immediately after the bridge, turn right on a path beside the Medway. A short distance along, the ecclesiastical buildings of The Friars appear on the opposite bank. There has been a Carmelite monastery on this site since the 13th century, established by Ralph Fishburn on his return from the Holy Land. 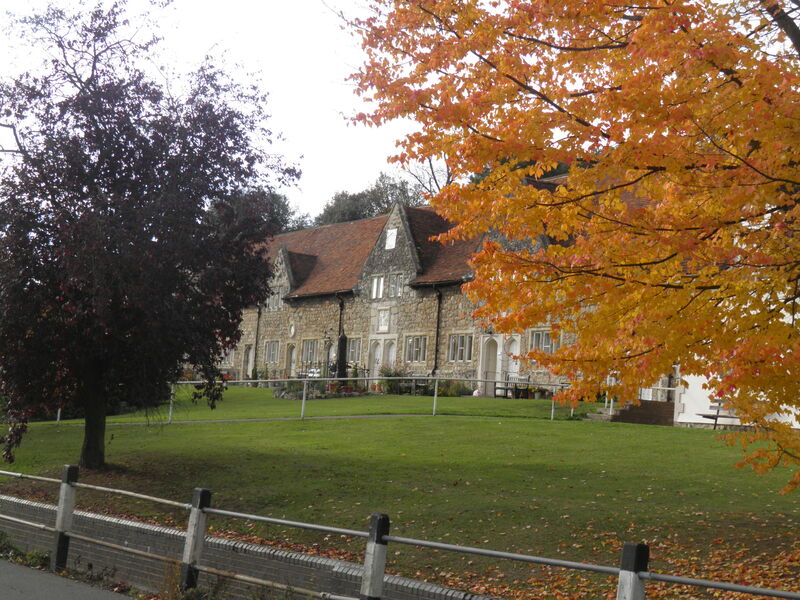 The monastery left religious hands after the Dissolution, but returned to Carmelite hands in 1949, restoring the complex to its former glory and adding new portions. Relics of St Simon Stock, a 13th century patron of the monastery, were returned in 1951. After passing below a row of new houses, the path climbs to a road. Turn left to reach a level crossing, cross and turn right to reach the station – the well-restored station house here is now an Indian restaurant, so your wait for a train may well be accompanied by tempting smells!